Quilted cotton sham in off-white. Sham with pompom details. Front and back: cotton/linen. Fill: polyester. Machine wash. 26"Sq. Imported. 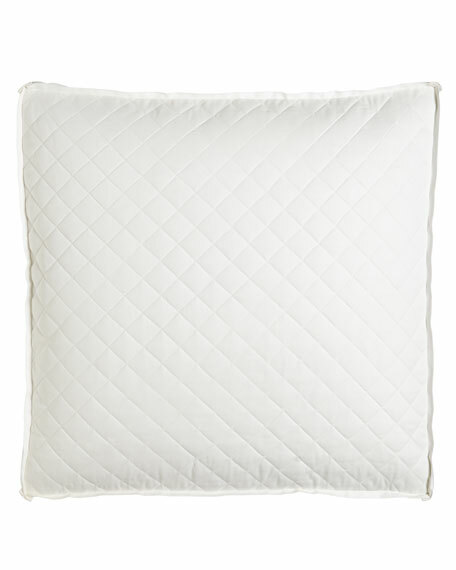 EXCLUSIVELY AT NEIMAN MARCUS Diamond quilted sham. Hidden zip closure. Cotton. Machine wash. 26"Sq. Imported.